When people enter your house, they will often track sand and other dirt in with them. This makes the undervalued welcome mat an indispensable item! Place this mat in front of your door so visitors will wipe their feet before they enter. Clean soles will also help to protect your floors, as sand and pebbles can easily scratch or dent them. 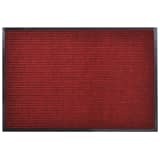 Here at vidaXL, you will find a superb selections of fabric front door mats in assorted sizes and colors. The purpose of a door mat is preventing dirt from being tracked into your home. 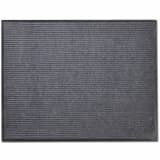 Some mats can be placed outdoors so people wipe their feet before entering, but others are more suitable for indoor use. 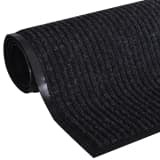 Rubber mats are ideal for outdoors, however, coir or fabric mats are better suited for indoors, as they do not handle moisture as well. A door mat is walked on constantly. If you enter your house hastily, it is important that the mat doesn’t slip. 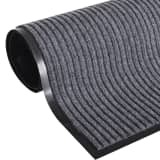 For that reason, all vidaXL front door mats have a safe, non-slip PVC backing. 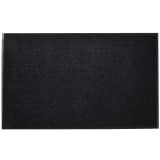 When you choose a fabric door mat from vidaXL, you can be rest assured that the material is highly absorbent. You will no longer be plagued by wet footsteps on a newly mopped floor, and mud spots will be a thing of the past. A door mat will save you a lot of cleaning! Fabulous!